This entry was posted in Future Releases on November 8, 2011 by admin. 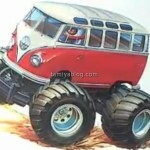 Some interesting news from the big T to be released at the Tamiya Fair later this month? 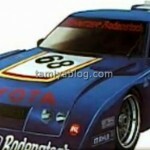 Among those is the 58507 – a brand new chassis? The Celica LB Gr. 5 a 1/12 back in the hay days and now available in 1/10 – a interesting release. Not to mention all the parts and hop-ups. 58507 could be a low-end version of TRF502, lets see. The LB release on TT01 surprised me when they have the new RM-01 chassis. We can’t wait to get more infos and pictures. The LB is a surprise at that scale. The RM1 coumld have been a good choice (may be less the tire diameter). 58512:… wheelie…58499: …wheelie. Could stand for VLB chassis? 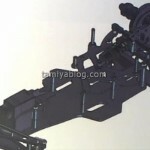 Now that the shaft-driven chassis are the only one to be used in competition, the DB01 platform has no reason to exist, and a low-priced version of the latest 4WD TRF would quite logical. The Black Avante could be a cool addition to the Avante family, even if most of us would prefer an Egress or a Vanquish. But I’m sure these latest will be re-released in a couple of months. Ah, it will be the second re-release for this one? Will there be any further improvements? Will the old Hotshot-type chassis still be used? 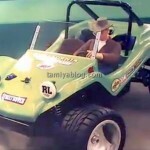 Will it be a buggy with the body looking like a “Rough Rider” or a “Sand Rover”? My personal guess is the 58522 could be a Sand Rover with some other tires/wheels and decals, but as I said that’s just a guess, we will know more in a few days. is that a super shot?? 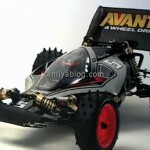 thank you tamiya….i’m goona buy it! So it’s going to be a re-re Supershot ! Another must-get. And the Sand Rover Street… basically a different body colour, and a different set of tires? Now that is fabulous news!! 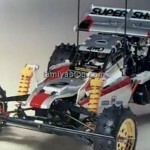 A Supershot 4wd re release! I wonder if it will include a GT motor with special sticker -a la Avante. The Black Avante special would have to be with the RZ MOTOR as std- with a reinforced chassis to take the strain from GT/Technigold spec to RZ Superstock! Imagine a 27,500 rpm Avante! This is speculation, mind you but these 2 releases are very interesting. An Avante 2001 with sport tuned as per orig 1991 model would be very appreciated too. Thank you all at Tamiya!! On the excellent F104 Chassis. Tune it with a Formula Tuned and some upgrades…what a car! The 2011 World Champion Grand Prix version or the 2009 model !! So chuffed more re-releases are coming! Looking forward to the XR311 Combat Support Vehicle (re-release), I missed the first re-release of this one so it’s great I’ll get another chance to bag me one of them! As for the Supershot, as a kid I saved every penny for months to get my hands on one of them, what a car!!! and having already picked up a couple of the new hotshot re-re’s I’m gonna have to get me one of those metallic specials just for the heck of it! Damn you Tamiya!!! On the subject of old-school retro stuff, what do you guys at Tamiyablog think the chances are that Tamiya could/would get around to releasing a compilation DVD of all the old promo tapes they used to show in the local model shops? I know you can watch most of them online nowadays but I’d love to have a proper original ‘VHS’ grade or better still, a ‘hi-res’ copy to play without all the transfer fussiness and destortion you find on the current online versions! Supershot re issue is great although in all honesty i never thought i would see the day. It seems a GT motor will be included, the 34,000 Yen price implies something a little more forthcoming will be on offer. The Special Black Avante is a nice addition and i’m hoping the wheels will be Pink just like those on the 1/32 mini series Black special on which this is based. Could the tear drop wheels mean that an Egress re issue is imminent, i’d say it is! The AV Black wheels will be red, the Celica LB will have a nicely detailed lexan body, same as the VW Bus which will be on the Wild Willy 2 chassis. We recently got better photos but are waiting for even better ones from the upcoming fair. No, it seems the BS Avante wheels will be Pink which has made me very happy. Looks ace imo. The Celica has been crossed off my list, i hate the lazy Black window decals they include and i’m not comfortable with those wheels either. Still the Super Hotshot, despite the mouthful is a great sight. I also don’t like window decals so I mask them and paint them with PS smoke, so not a big problem imho and possibly good for beginners who are afraid or lazy of masking. On the Celica LB I am not even sure they used window decals, in the fair video it looks quite glossy for that, soon we will know more. I’m posting this here as nobody seems able to post in the newer re-release topic!? .>>ADMIN, can you have a look at that for us? I just want to say I think it’ll be a mistake to rename the Supershot re-release as the ‘Super Hotshot’!!! Wasn’t a ‘Super’ Hotshot otherwise known as the ‘Hotshot 2’? (a revised Hotshot kit with extra hop-up options included?). The ‘Supershot’ as I understand it was originally released as the stand-alone ‘all-singing-all-dancing’ ‘last hoorah’ to that generation of ‘heavier’ Tamiya kits wasn’t it? …I know that was the general understanding where I lived here in the UK!? Yeah, twenty-odd years later some of the sponsors listed on the original decal set could pose a problem with copyright and all that but the name ‘Supershot’ shouldn’t be an issue at all for the re-release!? It was called a Tamiya Supershot and as far as I know no other car since (other than the mini-scale version) has ever been called the Tamiya ‘Supershot’ so I cannot see why the name needs to be changed this time around and I have to say the idea it would kinda spoils it for me!?! Well, have you ever thought that what we “westerners” assume may not be true on a so far away and different land? Also just because we amateur hobbyists don’t know another RC car with the same name doesn’t say nothing about other possible rights on that name. Do you really think that the #1 model company in the world just changed only the name of this specific kit just for the fun of it without some serious reasons or thoughts? Also since the final production version hasn’t been presented yet (the name was tentative) better wait, maybe you are lucky. Fingers crossed, I do hope the ‘Supershot’ name makes a return as it sounds much better than the ‘Super Hotshot’ and having raced one at club level alongside my RC10 and later a Mauri Ninja it was by far the best RC car of my generation and for a long time it has had a special place in my heart! 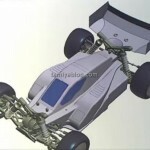 That aside, IMHO Tamiya are and always will be the #1 model company and looking at the release list for early 2012, they’re about to spoil us silly with what’s coming our way in the new year! The Fox and The Wild One next please Tamiya!! !